Last year seemed to be the year of going to super hero movies with high expectations and leaving feeling frustrated. Well, today I had the opposite experience. I went into the new Power Rangers movie with low expectations (secret to happiness in life!) and walked out having had a pretty good time. It’s not a perfect movie by any means but on the whole I was entertained by it. I should state going into this review I have never watched an episode of the Power Rangers shows. My younger siblings got into it but it was well past my time of enjoying them. So I have no nostalgia for or bias against the film and can only judge what I see on screen (something I try to do anyway). I did try and watch the 1995 Power Rangers Movie last week and fell asleep because it was so boring. I don’t know what hard-core fans will think of this film. They will either be super hard on it or really love it, but I can only speak for myself. First off, the casting takes Power Rangers a long way. The 5 fairly unknown leads all do a good job and have a nice chemistry together. I particularly liked RJ Cyler who you might know from Me Earl and the Dying Girl. He plays Billy who becomes the blue ranger and is “on the spectrum” of autism and he makes this work. I think a lot of kids on the spectrum will get a kick out of seeing someone like him as a superhero. Also, Becky G as Trini, the yellow ranger, is good and is a lesbian without making a bit hullabaloo about it. 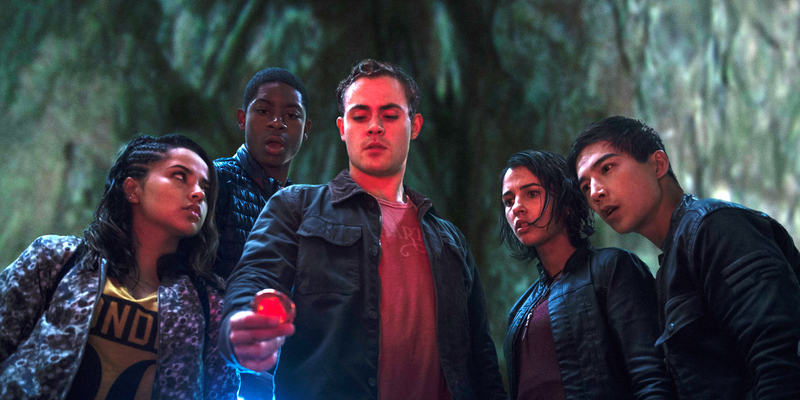 Also is it just me or does Dacre Montgomery, the red ranger, look exactly like Zac Efron? He was fine, and I liked Naomi Scott and Ludi Lin as the remaining pink and black rangers. They were all good. The first half of the movie plays like Chronicle, and I think that’s when the movie is at its strongest. The second half starts to have more problems as we start to meet our villain and have more of the conflict but it never turned me off too much. Elizabeth Banks plays Rita Repulsa and she’s pretty over-the-top and surprisingly violent for a children’s film (it earns its PG-13). She wasn’t the worst villain I’ve ever seen but she kind of reminded me a little bit of Enchantress from Suicide Squad which is never a good thing. Like Enchantress, she creates a Gods of Egypt-like sphincter who stomps around and destroys stuff. It was pretty bland, but I think kids will have fun with this type of action. I didn’t like that there is very little hand to hand combat. It’s mostly in transformer-like machines and bots. 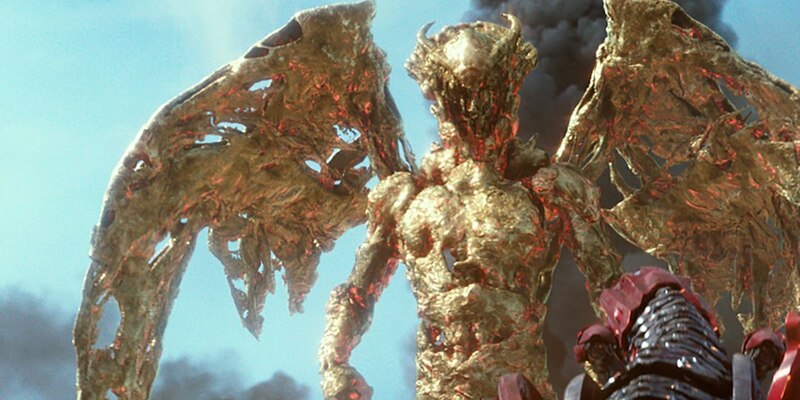 It’s hard to feel tension when CGI creatures are fighting each other. 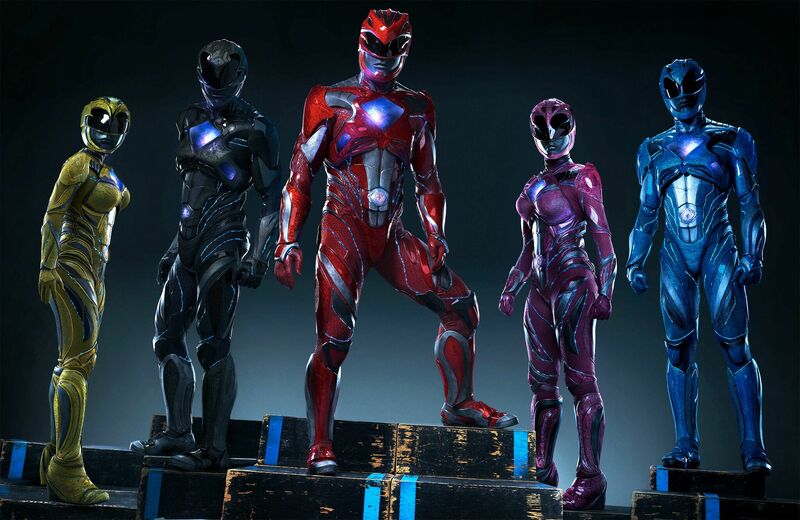 You also don’t see them morph into the rangers until well into the movie, so that may be a disappointment to some fans. I liked them much better as humans so it didn’t bother me. Bryan Cranston appears as their mentor Zordon and has a lot of fun with the role and I enjoyed Bill Hader as a robot named Alpha 5. There is also the most blatant product placement I’ve ever seen. It’s not just in background shots or billboards. No, Krispy Kreme Donuts feature heavily into the actual plot of the movie! So, there are some negatives. It’s not a masterpiece but I walked away having a pretty good time. It has an engaging and diverse cast. It doesn’t overstay its welcome like the Transformers movies and it keeps the fan service from being distracting. If kids can handle the violence I think they will like it and it should start up a nice little franchise for Lionsgate. Great review as always! 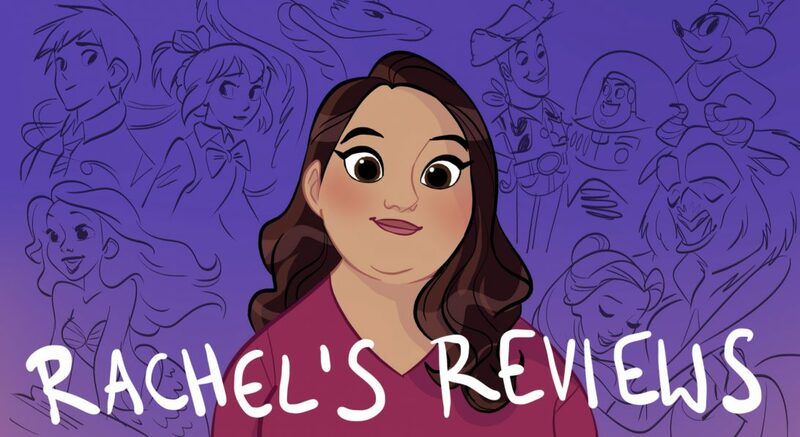 I really, really, really wanted to see this movie before I read your review, and now I want to see it anymore!!! The guy does look a bit like Zac Efron. I don’t have any interest in seeing this film. Fair enough. Thanks for reading! Glad to hear you enjoyed it! I may get around to seeing it eventually.